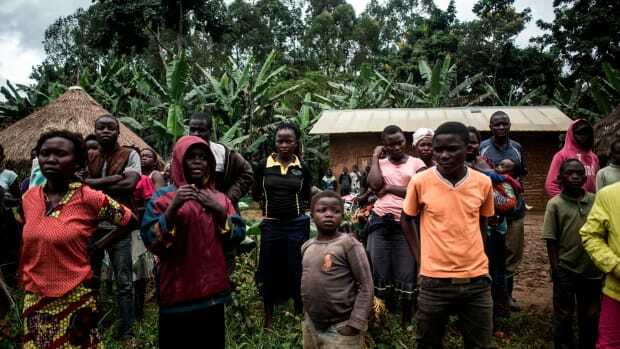 If the election results are accurate, this could be the DRC's first democratic transfer of power since the country gained independence from Belgium in 1960. Opposition leader Felix Tshisekedi was named the next president of the Democratic Republic of the Congo early Thursday morning, following the country&apos;s election on December 30th, 2018. The DRC&apos;s Independent National Electoral Commission reported that Tshisekedi won 38.6 percent of the vote, beating out rival opposition leader Martin Fayulu, who won 34.8 percent of the vote, and Emmanuel Ramazani Shadary, the pick of current President Joseph Kabila, who won 23.8 percent. 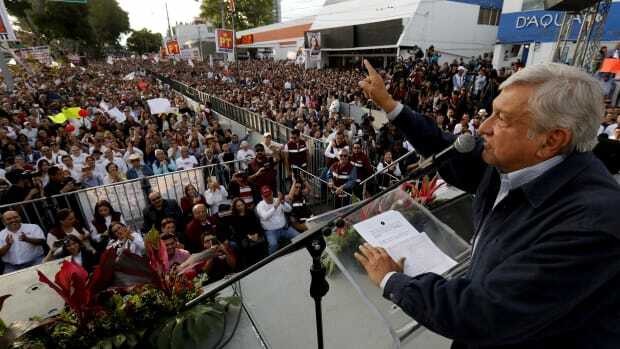 Fayulu, however, has rejected these results and announced that he will file a court challenge, claiming there has been an "electoral coup" and that he truly won 62 percent of the vote. Leaders of the Catholic Church, which had observers conduct an independent voting tally, and French diplomats have challenged the outcome as well, saying Fayulu was the real winner. 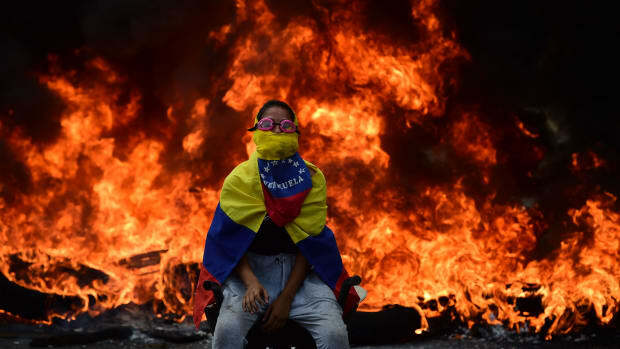 Numerous irregularities were reported around the time of the election, including a fire that destroyed 8,000 polling machines 10 days prior to the election and a last-minute decision to prevent a million people in Ebola-affected states from voting. Currently, Tshisekedi is set to succeed Kabila, who has been in power for 18 years, on January 18th, 2019. Kabila&apos;s term was set to expire in 2016, but he postponed the election until 2018 as he sought to amend the country&apos;s constitution and govern for another term. 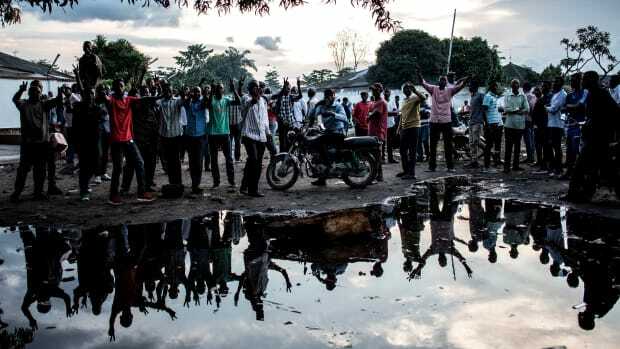 If the election results are accurate, this could be the DRC&apos;s first democratic transfer of power since the country gained independence from Belgium in 1960. Fayulu will go to court Saturday to challenge the results. 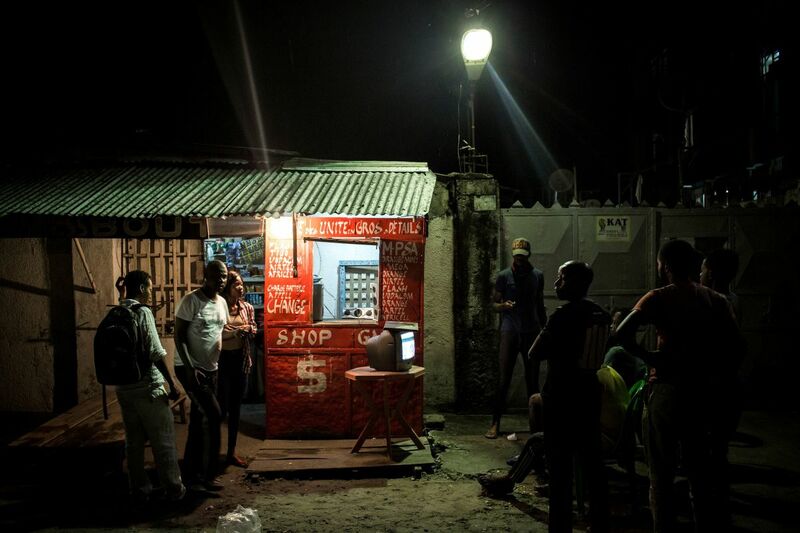 People gather around a television in the Lingwala district to watch the announcement of the presidential election results in Kinshasa on January 10th, 2019. 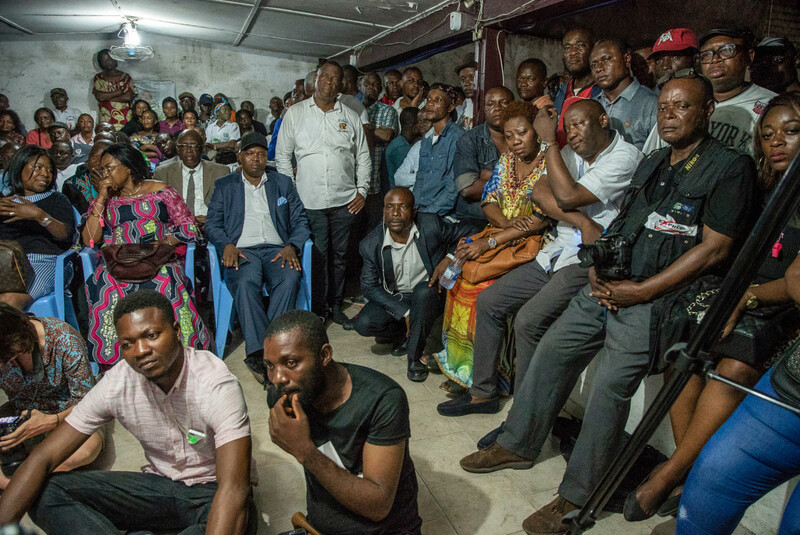 Supporters of presidential candidate Felix Tshisekedi wait for the announcement of the provisional results of the presidential election by the Independent National Electoral Commission (CENI) at the former residence of the candidate&apos;s father, Etienne Tshisekedi, a Congolese political opponent who died in February of 2017, in Kinshasa on January 10th, 2019. 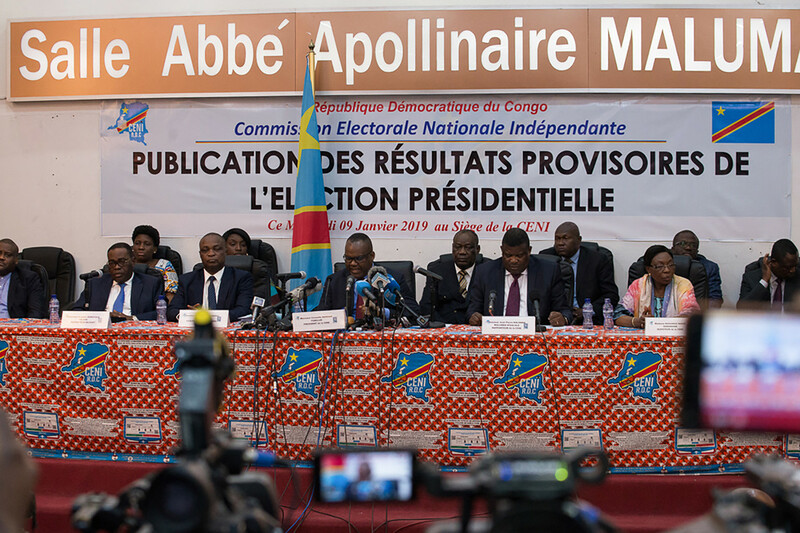 CENI President Nangaa Yobeluo announces the provisional results of the presidential election in Kinshasa on January 10th, 2019. 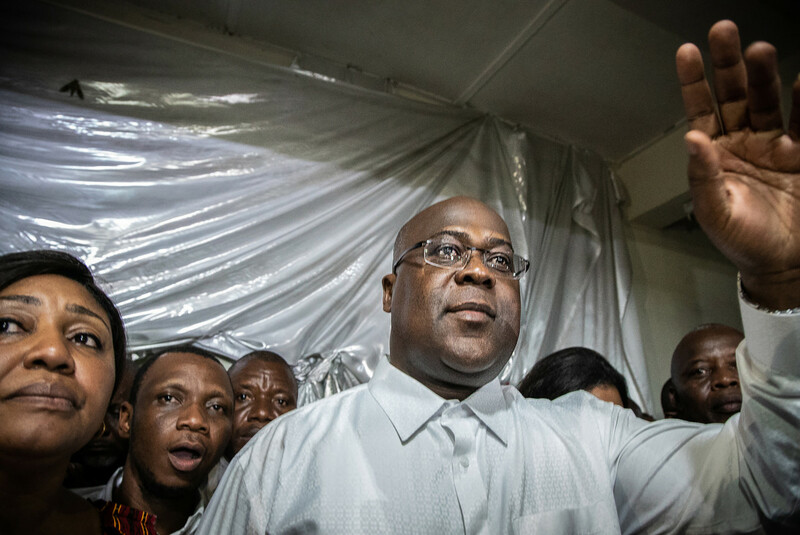 Tshisekedi gestures as he is surrounded by his wife, relatives, and supporters of his party, the Union for Democracy and Social Progress, a few minutes after he was declared winner of the presidential election by the CENI, in his father&apos;s historic residence in Limete, Kinshasa, on January 10th, 2019. 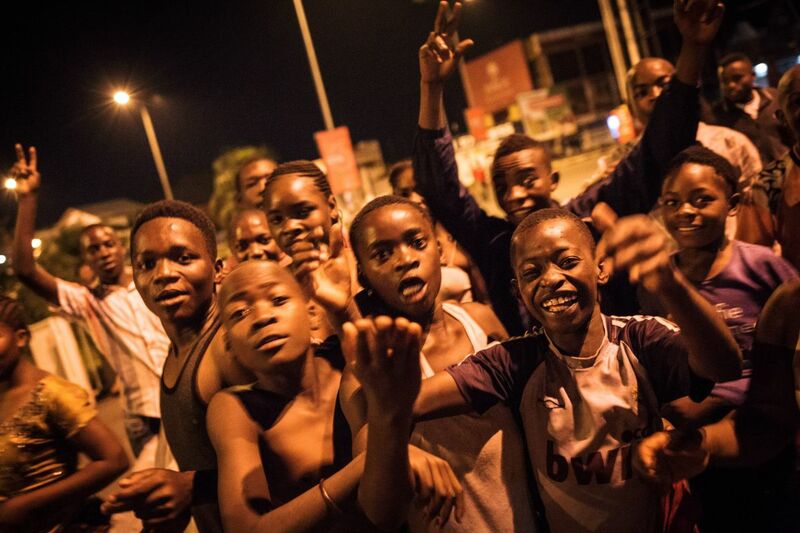 Young people gather at dawn in downtown Goma, northeastern DRC, to celebrate Tshisekedi&apos;s victory a few minutes after the announcement of the provisional results of the presidential election on January 10th, 2019. 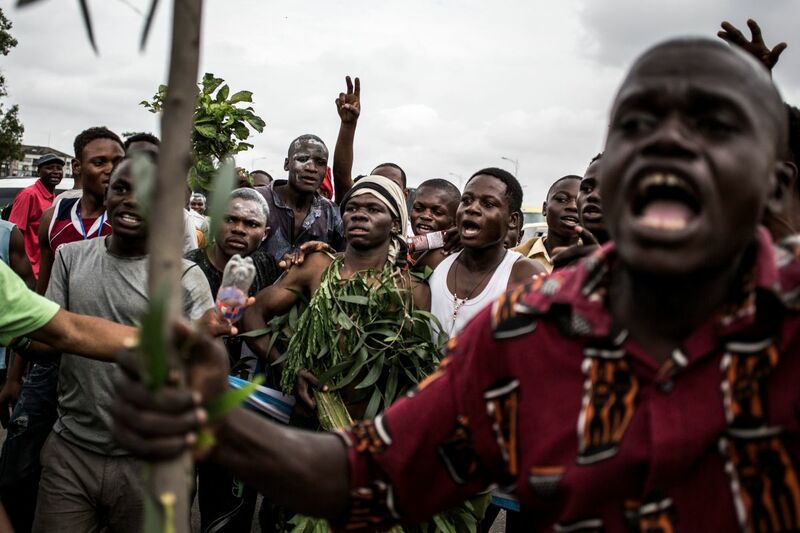 Supporters of Tshisekedi celebrate in the streets in Kinshasa on January 10th, 2019. 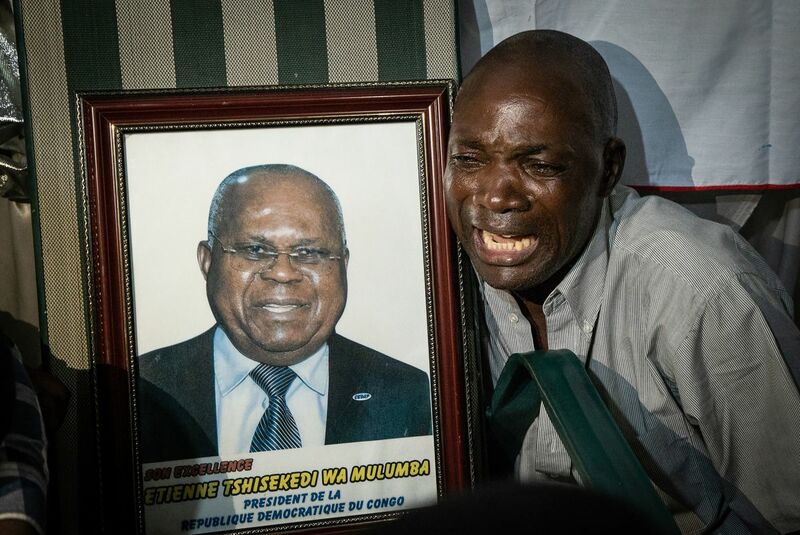 A supporter of Felix Tshisekedi reacts next to a picture of Etienne Tshisekedi, a Congolese political opponent who died in February of 2017 and father of the current candidate, after Felix Tshisekedi was named the provisional winner in the presidential election, at the former residence of Etienne Tshisekedi in Kinshasa on January 10th, 2019. 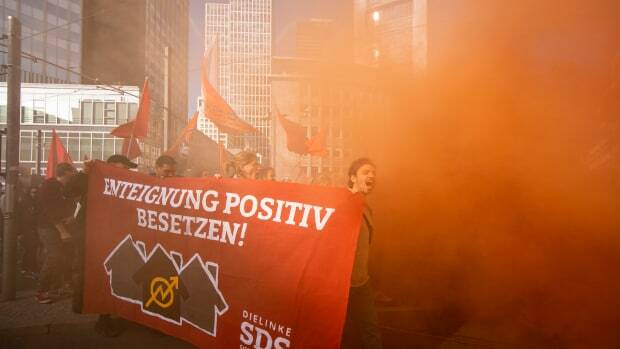 Supporters of the Democratic Republic of the Congo's Union for Democracy and Social Progress party demonstrate outside the party headquarters in Kinshasa on December 20th, 2018, to protest against the postponed elections. 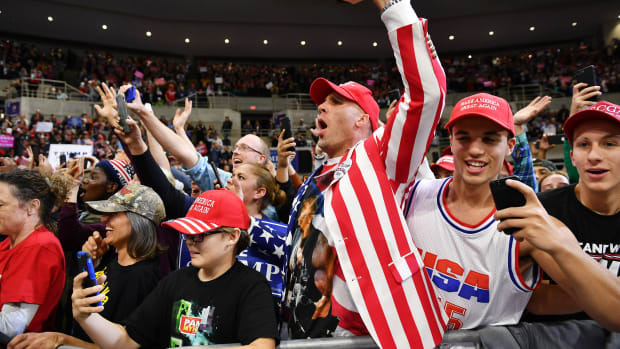 We sat down with Viridiana Rios, a fellow at the Wilson Center's Mexico Institute, to talk about the problems and policies that have shaped this election season.